Bethany Balkus, PsyD, conducted her research in Seattle at a women’s residential treatment program. There were 17 participants in this study. These participants selected a single trauma to address with the Standard Protocol of Lifespan Integration (LI) and were required to attend two LI sessions. Traumas targeted ranged from car accidents to severe domestic violence situations. Each participant self-scored the Impact of Events (IES) scale by Mardi Horowitz, MD prior to any LI counseling. The IES measures the participant’s levels of Intrusion and Avoidance related to trauma symptoms. The participants received two sessions of Standard Protocol LI (not PTSD protocol) conducted primarily by two experienced LI therapists. Per the diagram above, prior to any LI sessions the mean scores for Avoidance and Intrusion measured separately were each about 28 out of 30. After two LI sessions, Avoidance and Intrusion scores were each approximately 6 out of 30. 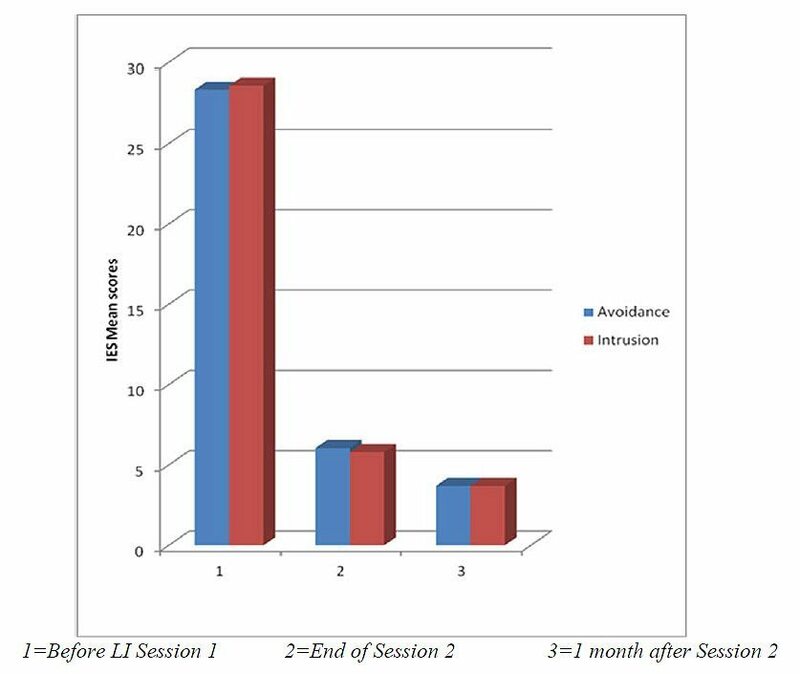 One month after the second LI session— with no intervening LI work—the scores continued to decrease to approximately 3.75 out of 30, thus indicating that LI can reduce trauma-related symptoms.